KG is a small family operated workshop in Beijing. 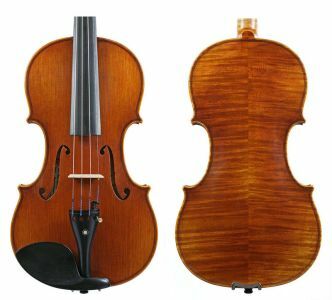 Their 200 model violin is very nicely made instrument and is a very popular choice for students moving up to their first full size violin. They come with our detailed setup, quality fittings and Pirastro Obligato or Evah Pirazzi strings. Dolce is our popular student violin outfit. Chosen for its amazing quality for its price, we believe this is the minimum quality that students of all levels deserve. The quality of this instrument allows us to perform a detailed setup which is included in the price. 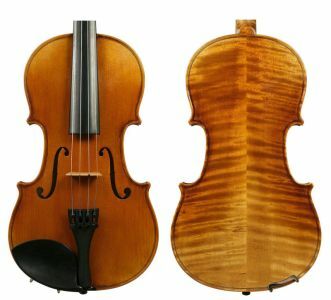 We fit Dolce violins with Pirastro Obligato strings and a bow and case are included. Dolce violin outfits are available in 4/4, ¾ and ½ sizes. Don’t let your students play on a toy violin, start them off with a real one.